In this coverage of a talk from Richard Stallman, the problem is being acknowledged again. He [Richard Stallman] pointed out many of the problems with software patents and the difficulties with being able to develop software independently. If you have any sort of success, you might easily run afoul of someone that claims a patent on your idea. He games examples of the gzip/pkzip fiasco and a few others. He showed how hard it is to find a patent, decipher the filings, and even the problems with patents that are under consideration. All pose problems and Mr. Stallman is right, we need to do something. For those who have not seen Richard Stallman talking about patents, here’s a bundle. Watch what the BSA, which serves Microsoft’s software patents agenda in Europe [1, 2, 3], is reported to have just done. I was arguing at the recent Knowright2008 conference in Krakow (Poland) why software authors lost their rights with software patents. I was explaining why the Berne Convention which protects software under a copyright regime (for source code and binary code) does not give space for software patents. After my presentation, the BSA representative mentioned his disagreement with my argumentation, saying that there is the “idea” and the “implementation”. Maybe there are Americans in the room to cite the First Amendment? As pointed out the other day, one key point is that hardware takes money to reproduce. It would be insane to limit development of something which can be produce by anyone very quickly and then spread infinitely. That would be an artificial obstruction of free-flowing trade. In particular, as this new post emphasises, patents harm small businesses (not to be confused with small patent trolls) the most. Aruba Networks says that it has filed a patent infringement countersuit against Motorola, Symbol, and Wireless Valley. The countersuit concerns Motorola’s (and its subsidiaries’) claimed infringement of two Aruba patents related to managing wireless computer networks and network security. A league of patent trolls is being established over in IAM and there is now an overview. Joff Wild over at the IAM Blog recently chatted with Dan McCurdy, chairman of PatentFreedom and CEO of Allied Security Trust, who is issuing a list of the most litigious non-practicing entities (aka “patent trolls”) for the next issue of IAM Magazine. Acacia tops the list with several ex-Microsoft executives among its ranks. 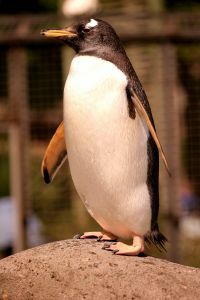 patent on a Penguin? How about DNA?